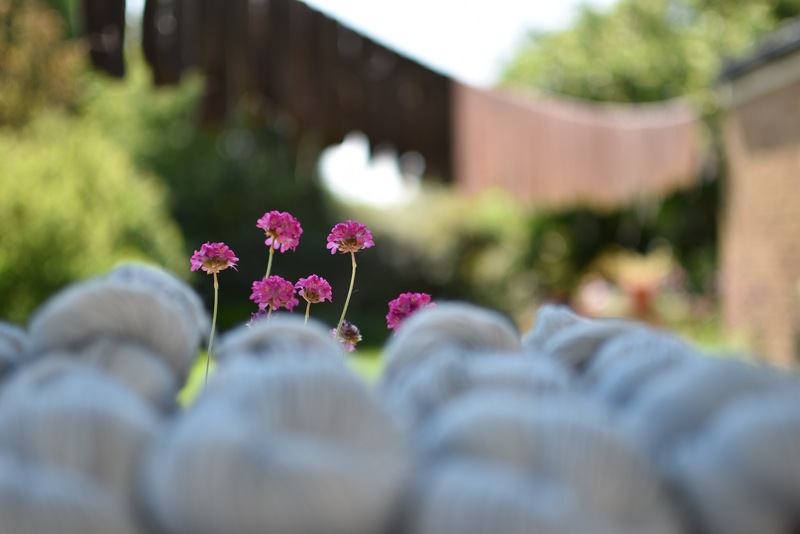 Another hectic week rolls by.. there’s been a lot of yarn, as always. 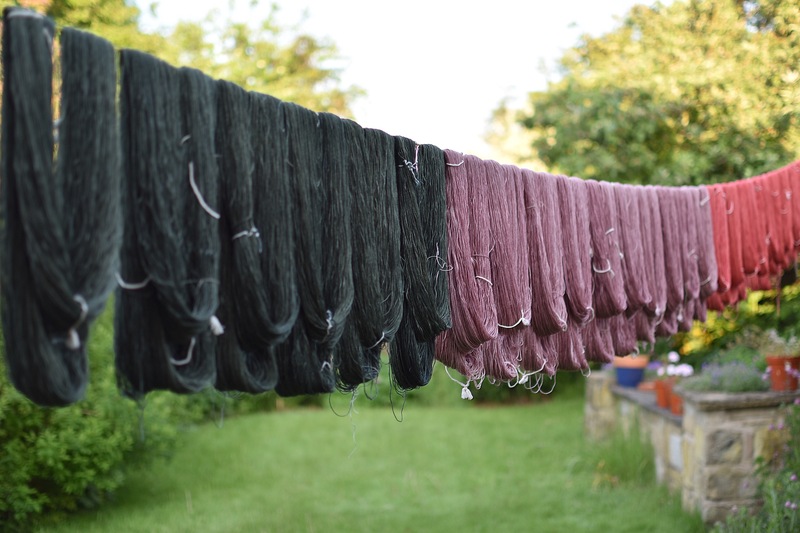 The amazingly good drying weather helped. 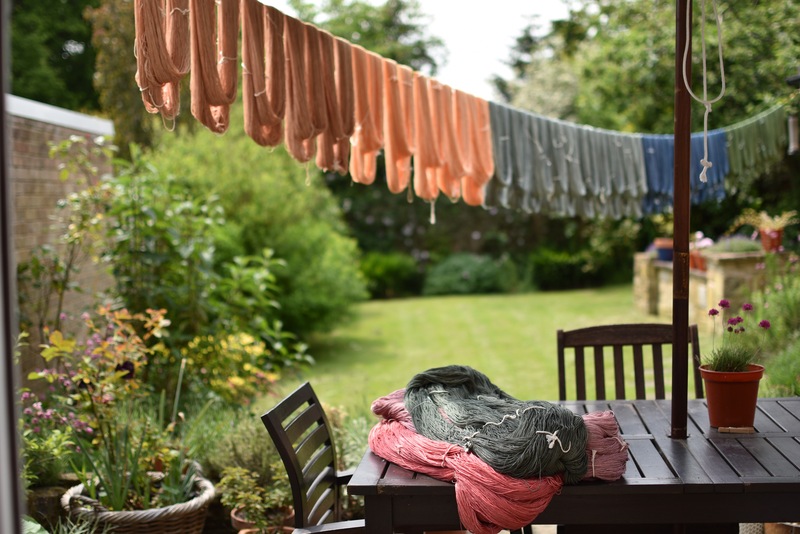 It makes the laborious tasks (tying, twisting, and labelling) a lot more enticing when they afford the opportunity to sit outside and do them. It’s not new this week but is still pretty new – I finally made myself a proper blush shade. I’ve been meaning to for ages, but somehow never got around to it. I love dusky pinks and apricots – well anything dusky really, so now I’ve got a proper blush I think it widens the palette. It goes with a lot of other shades and although is a similar tone to Driftwood, it’s a warmer shade than that – Driftwood’s much more of a beige (I’ve been taking comparison photos so will post them soon). 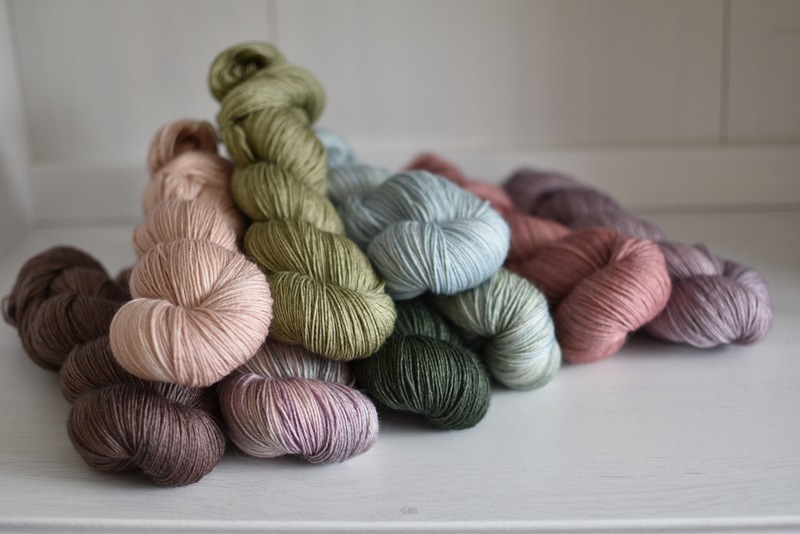 Here’s the new blush (the yarn is Oakworth 4ply) – Stonecrop (I might find a better name for it, I’m not sure) along with Compost (those two together.. be still my beating heart!) and another newbie – Meadow Rue. That’s a very dusky lilac shade, and meadow rue is the common name for a genus of herbaceous perennials. 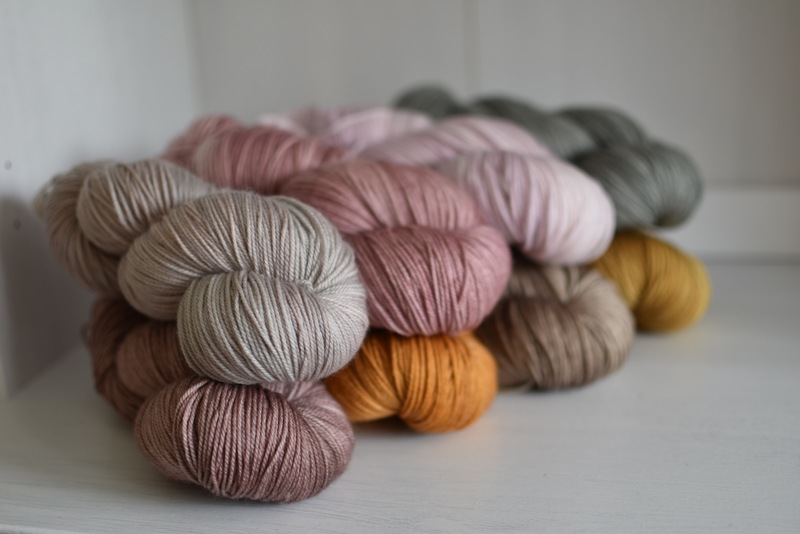 This is Cedar, Briar Rose, and Vintage Ribbon on Titus 4ply. They’ll be up on the website next week at some point as they’re still waiting to be labelled. 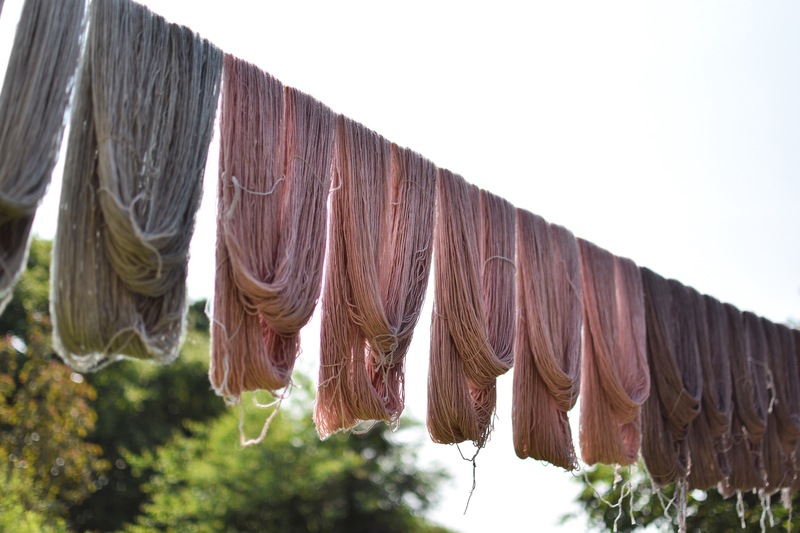 I have a small quantity of Bedale 4ply to go up too – it’s still drying, but there are two batches which are Rambling Rose and Compost, and there’s enough for six Holyrood kits in the bright pink and grey that Justyna used in her sample. 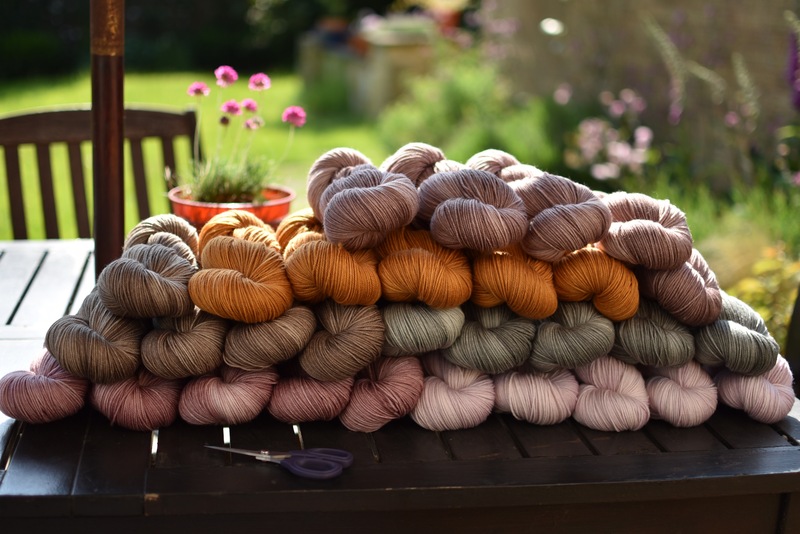 I was under the impression that this amazing yarn was being discontinued, but I’m now told it’s not, which is great news. So there’ll be a bit of a wait but I will get more as soon as I can. 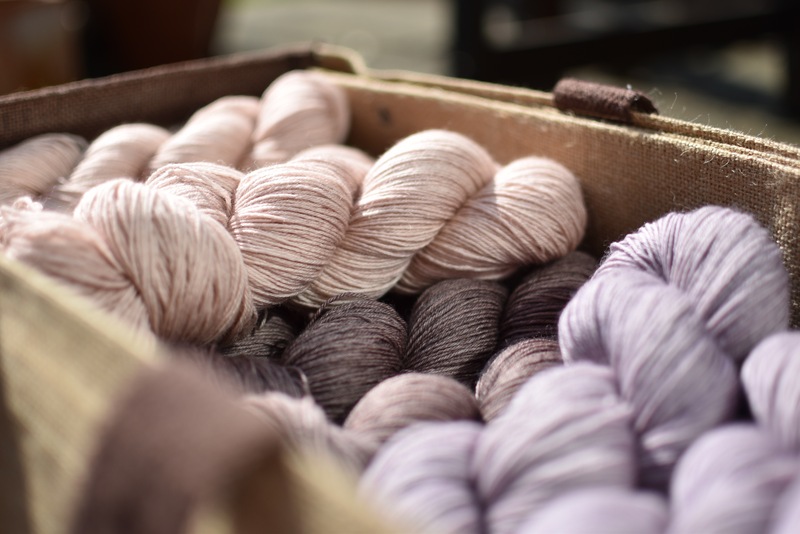 Did you catch last night (Thursday)’s Oakworth 4ply update? 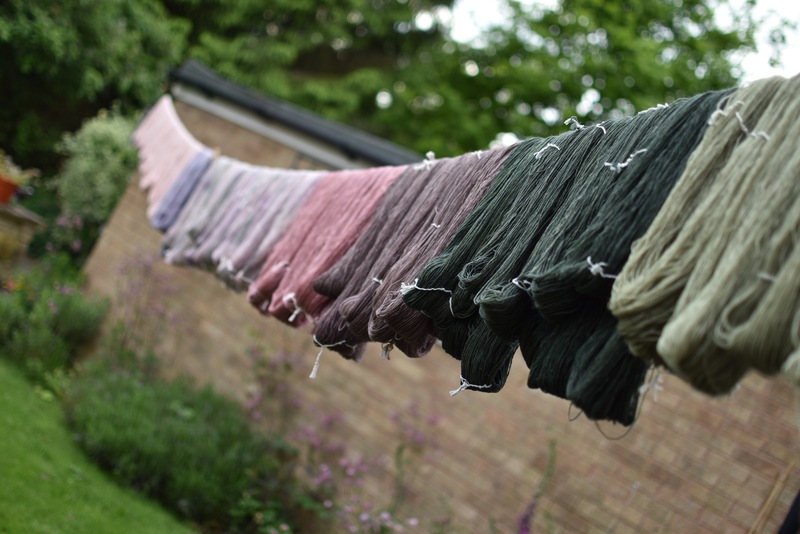 Here’s one skein from each dyelot. There’s still some left! 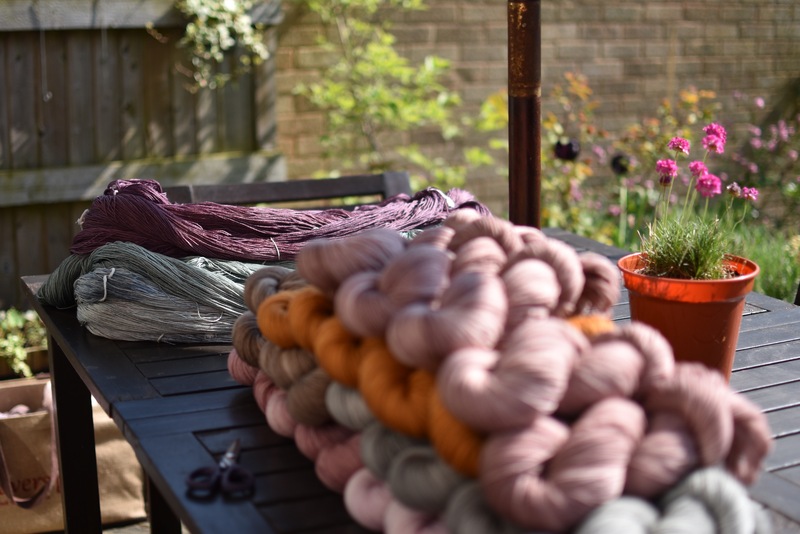 Finally, this little lot of Hayton 4ply has just gone up on the website tonight too. If you ordered yesterday and order again today I will combine postage and refund the difference if there is one, as I’m not going to get chance to pack yesterday and today’s orders until after tea tonight anyway. 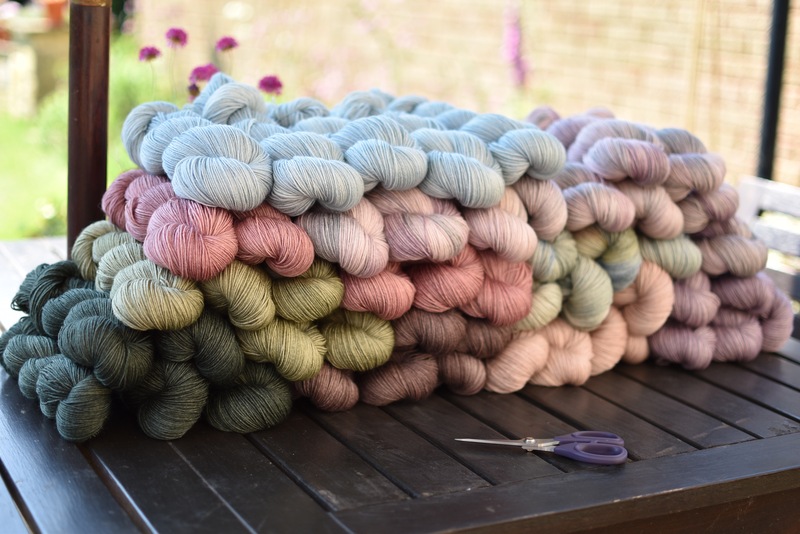 Oh actually there’s another finally.. that is if you’re at TNNA this weekend don’t forget to look out for my yarn there on stand 719 – we have two ladies representing us as well as their own lovely stuff, and they have my wholesale info with them, plus you can take your own cuttings of the yarns! Perhaps next year we’ll finally get there ourselves (if we’re not moving house and I have renewed my out of date passport!). Have a lovely weekend folks.